While their talents and skills may differ, their focus remains the same: providing you with an automation solution that meets or exceeds all of your expectations. And our customers play vital roles in our teams as well, giving each team a unique sense of unity and cohesiveness that can’t be found anywhere else. In fact, our teams function like an extension of your company, giving you your very own design/build division. 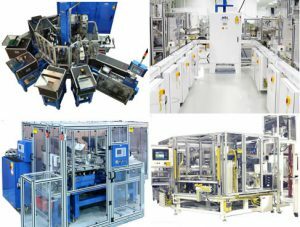 At the top of ATC’s core competencies are the complete, fully automated, assembly and test systems. These systems help to reduce labor cost, improve quality, and allow you to have better control of your manufacturing processes. ATC Automation’s semi-automated systems are what you are looking for when flexibility, repeatability, and cost efficiencies are needed in a manufacturing system. When flexibility and efficiency matter most in your manufacturing environment, count on ATC Automation to provide lean solutions that are unparalleled in the industry.